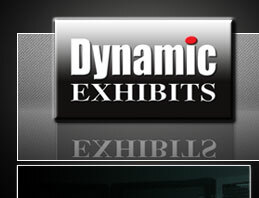 Dynamic Exhibits is located on Woodruff Rd. and provides award-winning exhibits and graphic services, including modular, portable, and custom displays. James and Kathryn Hunter are the present owners of Dynamic Exhibits. They were born and raised in Greenville and both graduated from Riverside High School. Kathryn went on to earn a degree in interior design at Anderson College while James attended David Lipscomb University before taking a job at Dynamic Exhibits in 1993. After marrying and starting a family - they are proud parents to Jonah and McKenna - the couple realized they wanted to start their own business. After pursuing several different opportunities, none of which fit their desires, James and Kathryn decided to purchase Dynamic Exhibits when the previous owner decided to sell. They continue to own the business and enjoy working together and serving their customers.